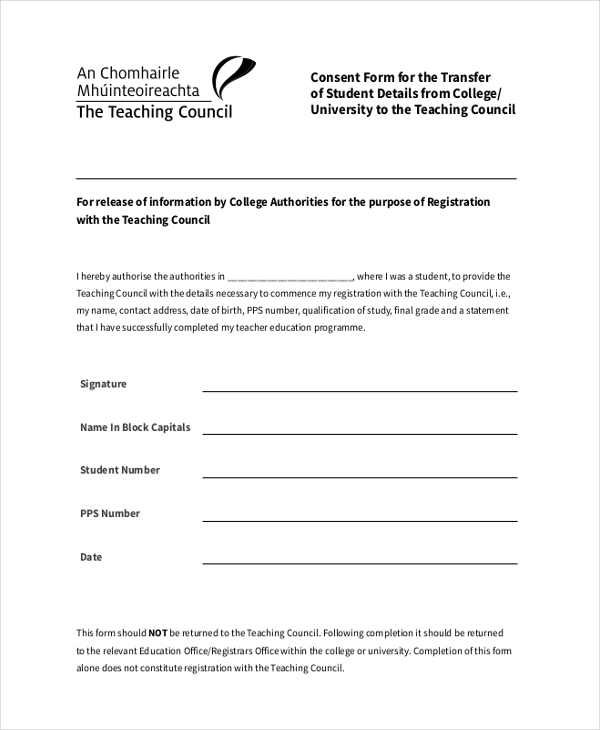 As the name indicates, this form is used by college/university get consent from a newly enrolled student which would allow them to share his credentials with required authorities. If a school/college needs to release certain confidential information about a student, they need to get consent from the student to this effect. In such cases, they use this consent form. 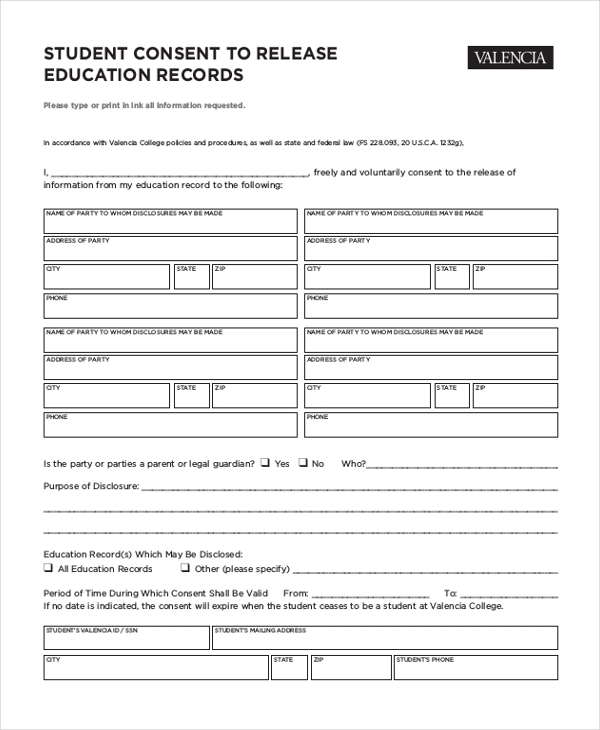 This form is used by an educational institution to secure permission from a student if they wish to reveal his confidential information or share his project details or clippings of his talent. Whenever a student moves from one college to another, the authorities of the previous college need to release information about the student. However, they require the consent of the student for this and in such cases, this form comes in handy. At times when a student creates a piece of art or some other project and submits this to the college, the authorities can use this only if the student or his guardian signs a consent form. This consent form is used for such purposes. 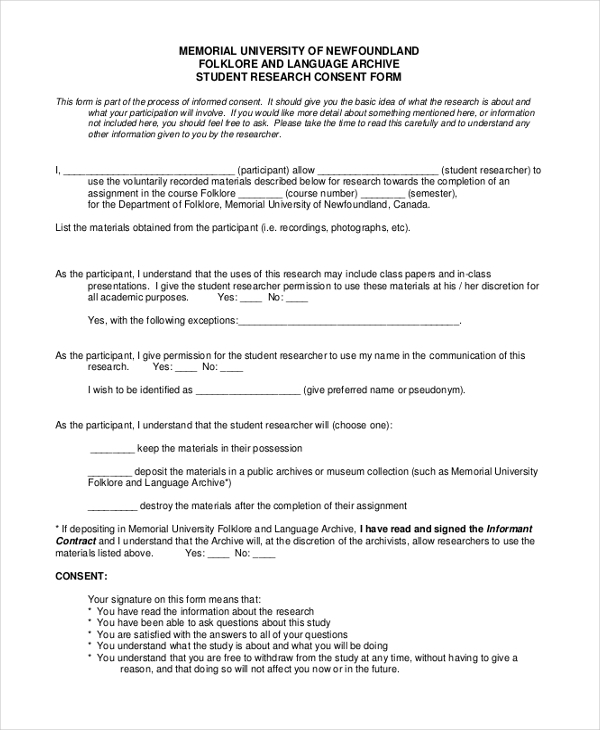 This consent form is used by the university to ensure that a student is well versed with the whole research process and agrees to abide by all the regulations and procedures to complete the project. 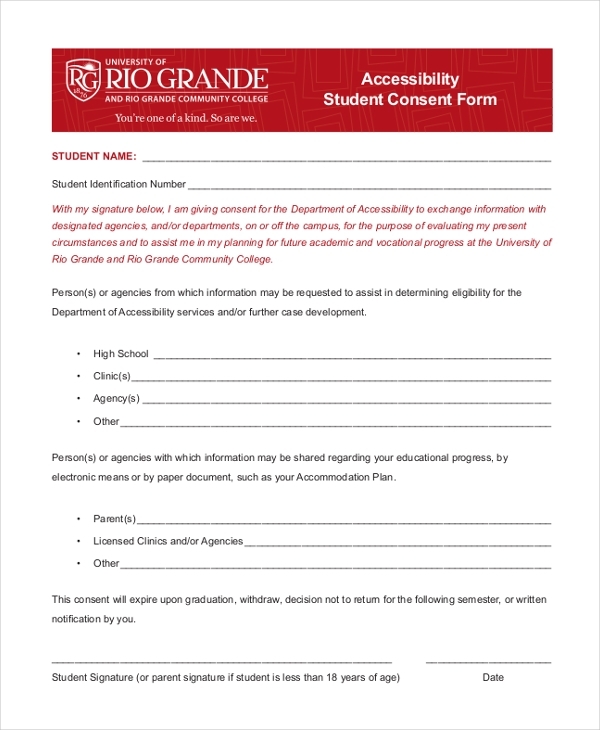 Used by a Department of Accessibility of a college, the student signs this form to give his permission to the department to share his information with various agencies and other colleges to improve his chances of higher education. Whenever a school/college or university wishes to tape the skills of a student or interview him on tape, they need to gain prior permission from the student or his parents. It is for this purpose that the aforesaid form is used. Before the school/college authorities share the information about a student’s education with a third party like a relative or any other organization, they should get consent from the student or his parents. This can be done by using this form. 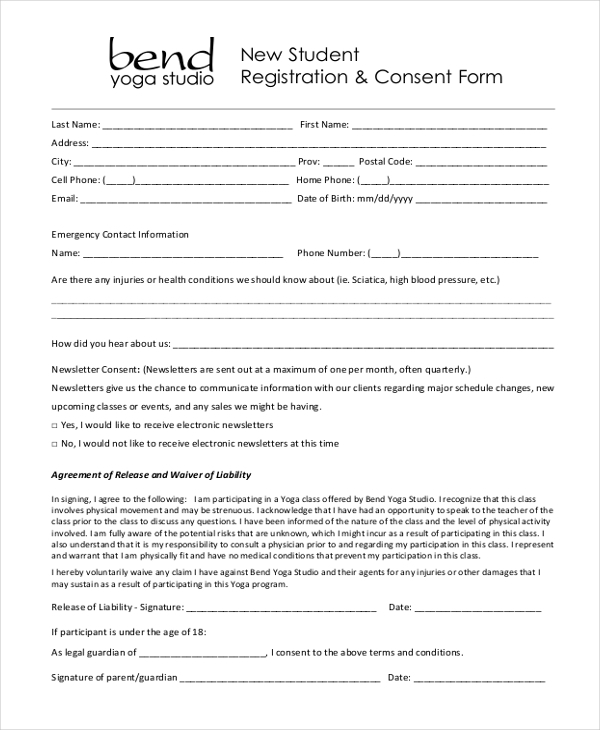 This form is used by the school/college authorities to secure permission from the parents of a student such that they can administer any kind of medical treatment to the student, in case of an emergency. Who Requires a Student Consent Form? 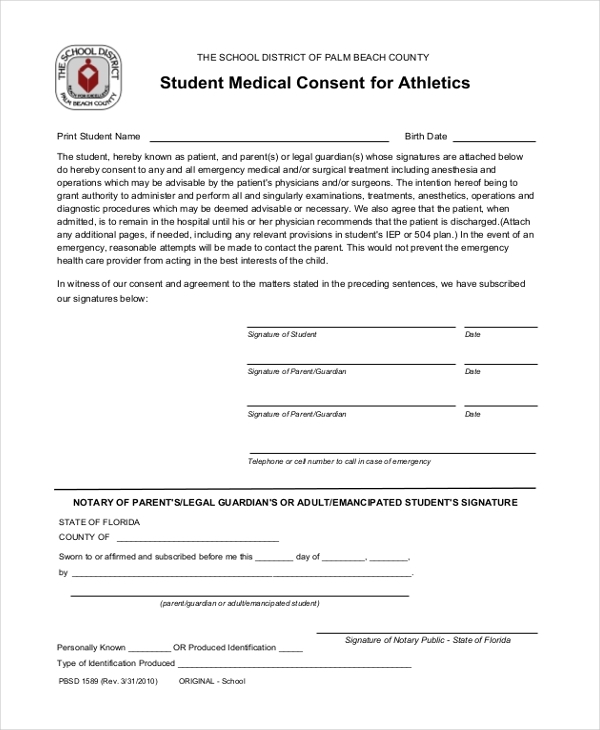 Every educational institution or university that works in tandem with students needs to use the student consent form to secure necessary permission from the parents or the student himself. use this form to ensure that the parents/guardians are well versed with all the regulations or to secure permission for any given purpose. 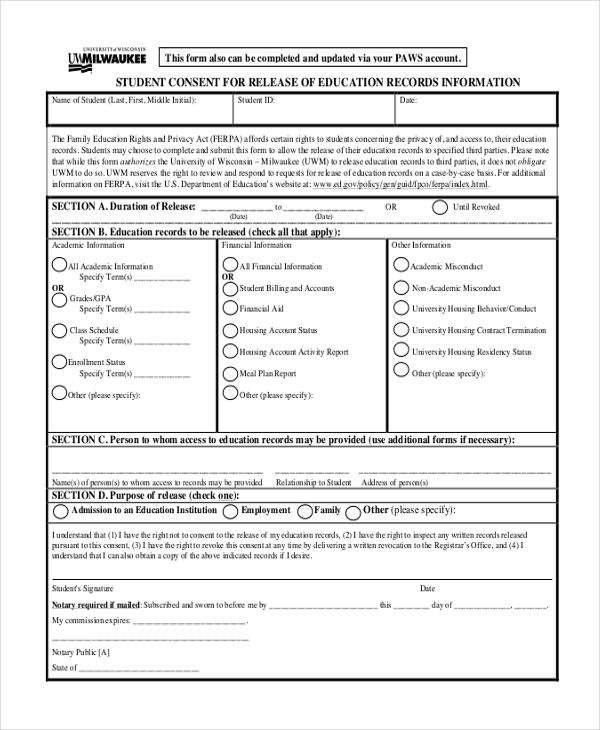 usually use this form to gain permission to share crucial student information with other institutions to enhance the student’s chances of better opportunities to education. use this form to get permission from the students/parents to use their confidential information or their research work for a valid reason. Why should one Use a Student Consent Form? How can you Design a Student Consent Form? Student consent forms are legal documents that bind both the parties concerned to abide by certain regulations. Hence these should be designed with a lot of thought. If you are not sure how to do this, you can easily download one and then make necessary changes to it to personalize it.